Shin Gi Tai Kempo is an evolution of Shin Gi Kempo which consists on a complete and accurate restructuring realized by Sijo Daniel Hayen. The main goal of this art is to create a logical style that could be used by everybody whatever the characteristics of the practitioner could be. Attributes like size, weight, age, gender (…) would then become obsolete. In this system, the main concept is to work according the strength lines of your opponent (height, width, depth). The objective is to physically and mentally disturb the opponent in order that he is completely destabilized and unable to make a counter attack. So, by an alternation of a punches and kicks, touches and keys, you can neutralize your rival. The characteristic of this defense system is the fast execution of techniques more especially a quick succession of multiple movements always in a logical order. This art is based on three elements: Shin (Mind), Gi (Technique) and Tai (Body). Is there a difference between Kempo and Kenpo? The Kanji (拳法) can be transliterated into English as either “Kempo” or “Kenpo”. The first character “Ken” means “fist”, while the second one “po” means “law”. However, a popular system for translating Japanese into English is the Hepburn romanization method for creating Romaji, where the “Ken” would become “Kem” when it precedes an “h” sound, and the “h” takes on a “p” sound. Thus, “Kenho” becomes “Kempo”. The common reference to “Kenpo” comes from the book that James Mitose produced in 1953 entitled What is Self-Defense? Kenpo JiuJitsu as a textbook on martial arts and due to a spelling mistake by the printers who printed an N instead of M the spelling of kenpo came about. In English, it is correct to use either term, though their particular usages have become somewhat stylized. 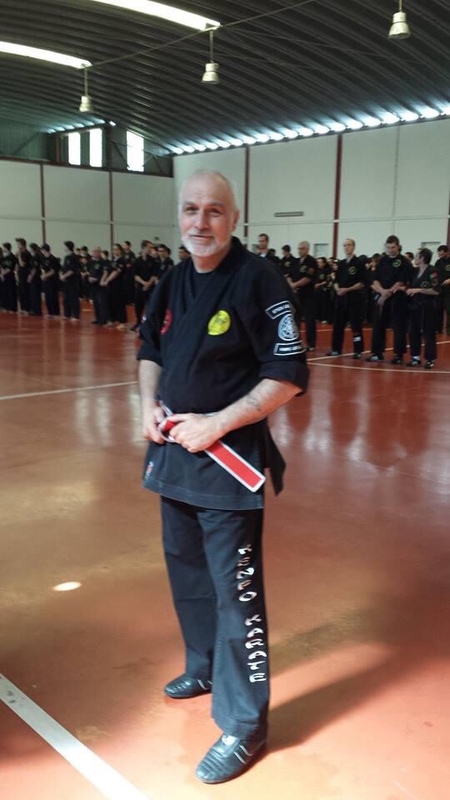 The term stayed with his students, and when William Chow and Edmund Parker went to create their own Kempo schools, they took the “Kenpo” name with them. Even if both forms are acceptable, the Japanese form with Kana and pronunciation will not change. An “n” sound coming before a “p” “b” or “h/f” sound and will be pronounced as an “m” because of the glottal stop. This is a natural transformation, and a similar transformation can also be seen in the distinction between the different pronunciations of “thin” vs “think”. When pronouncing “kenpo” vs “kempo” even an English speaker will not actually produce a truly different pronunciation as this transformation is a completely natural habit, and unconscious action to assimilate a nasal sounding “m”.